Cre8tor has 22 years of experience in HVAC Installation and Service, an EPA certification, and coursework in electrical theory, thermodynamics, and refrigeration. Does you furnace begin to start up, but then shut down just as it gets going? Does it do this a couple times and then shut down for good? 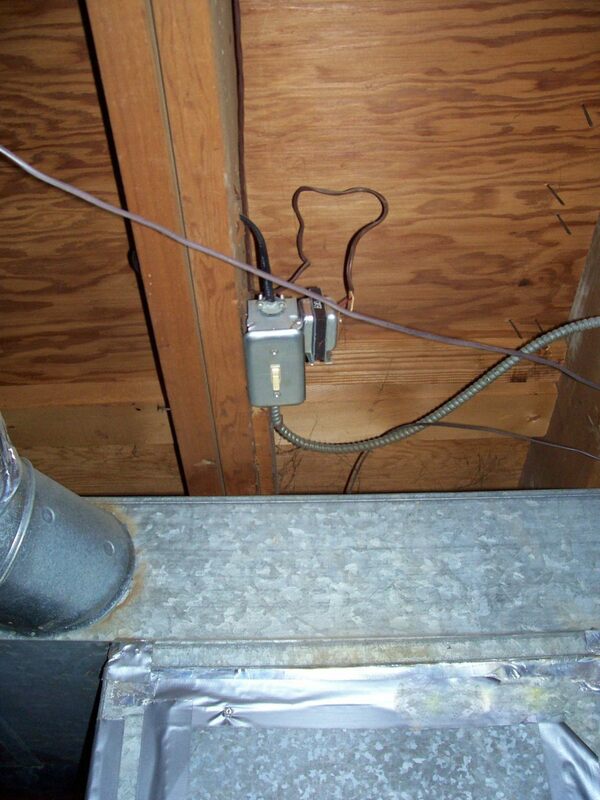 If so, you're likely having the same problem that many homeowners do every year...a dirty flame sensor. Most service work on furnaces is complicated, and needs to be done by an HVAC professional, but cleaning your flame sensor is a simple process. It's also easy to troubleshoot and see if it's the cause of your problem. Though we will be using a standard gas-fired furnace for our example, boilers and other gas-burning appliances often also use flame sensors. The following steps could be used for these types of appliances too. What Is a Flame Sensor and What Does It Do? The flame sensor is a rather simple device located at the burner assembly. It’s not much more than a thin, usually bent, metallic rod that sits in front of the flame stream inside the furnace. The purpose of the flame sensor is to confirm to the system that whenever the gas valve is open, a fire is actually present. If the unit kept on emitting gas when there was nothing to ignite it, a dangerous buildup of unburned gas would result. When your furnace begins to start up and the burners are ignited, the flame sensor has a very short window of time to detect the flame. If the sensor doesn’t detect any flame, it automatically shuts down the unit. Most units will allow this shutdown three times before going into a "safety lockout" for about an hour before trying again. Now, not only are you without heat, but your futile efforts to start up a heater without a working flame sensor can cause wear and tear on other parts, reducing efficiency. What Causes a Flame Sensor to Get Dirty? It’s possible for a flame sensor to go bad; but more often than not, it is not broken, just dirty from carbon buildup. Because a flame sensor has a very low tolerance for variations in the reading it takes, the slightest coating of carbon can cause it to misread and shut down. 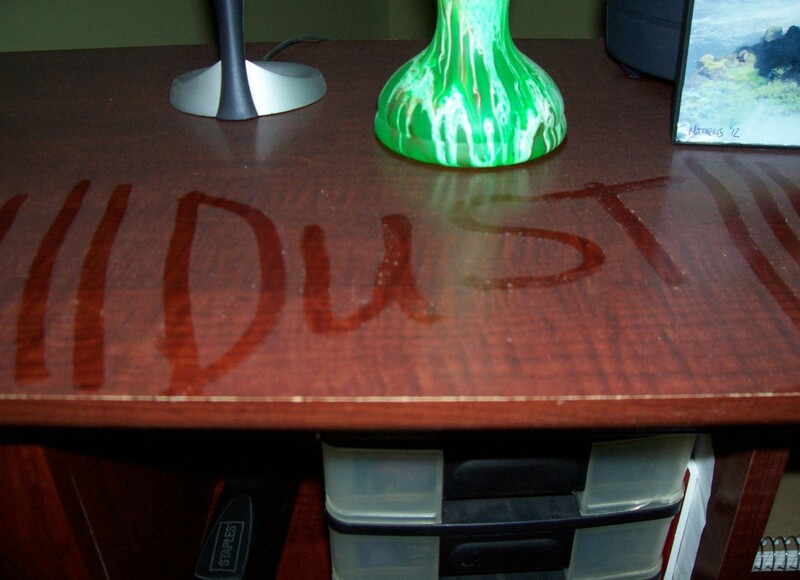 Since many units are located in basements, attics, and laundry areas with a lot of dust in the air, you can see how particles in the air could stick to the sensor and burn onto it, thus causing carbon buildup. Whenever you maintain your furnace (or other appliance), you MUST shut off the power to the unit. Turning off the thermostat (temperature control) does NOT shut down power to the furnace. Usually, there will be a toggle switch (an on-off switch like a light switch) mounted on or near the unit. 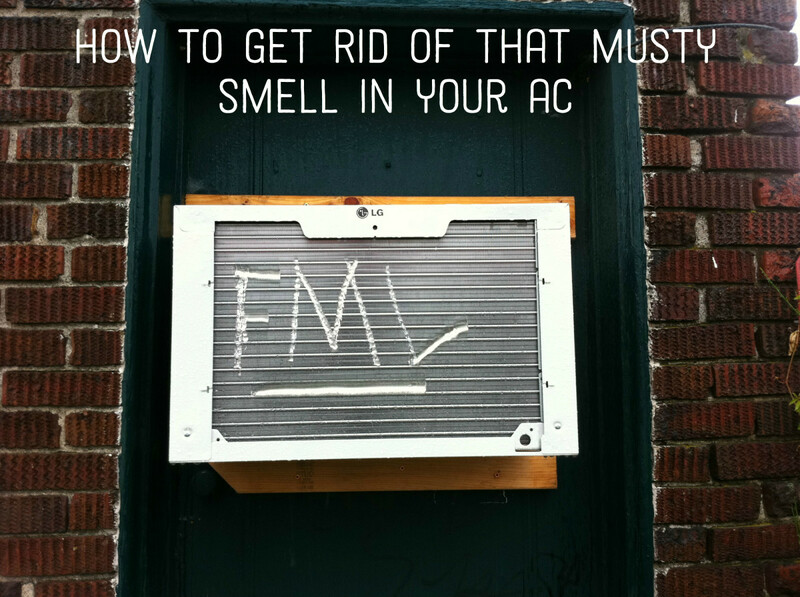 If not, you can shut the furnace down from the circuit-breaker box. 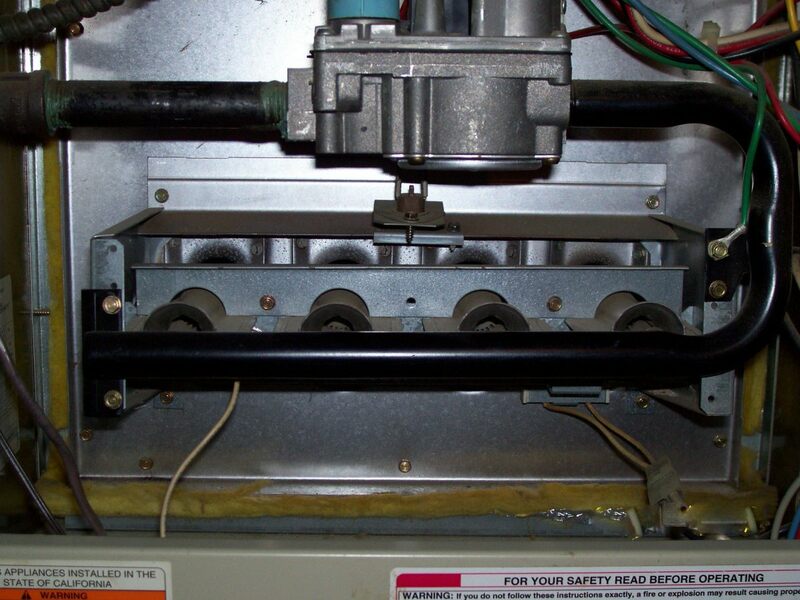 Furnaces are supposed to be installed with dedicated breakers that can shut them down. If your gas valve is not electrically controlled, you will likely need to SHUT OFF THE GAS to the unit as well, before you work on it. There are many different types of furnaces and appliances. Should any of the information provided here not match what you see on your unit, STOP! Do not guess or assume anything when dealing with your heating system. Call an HVAC professional in your area to repair the unit. A toggle switch that has been mounted in the ceiling near the furnace. Your toggle switch may be on the furnace, or you may have to shut off the unit at the circuit-breaker panel. 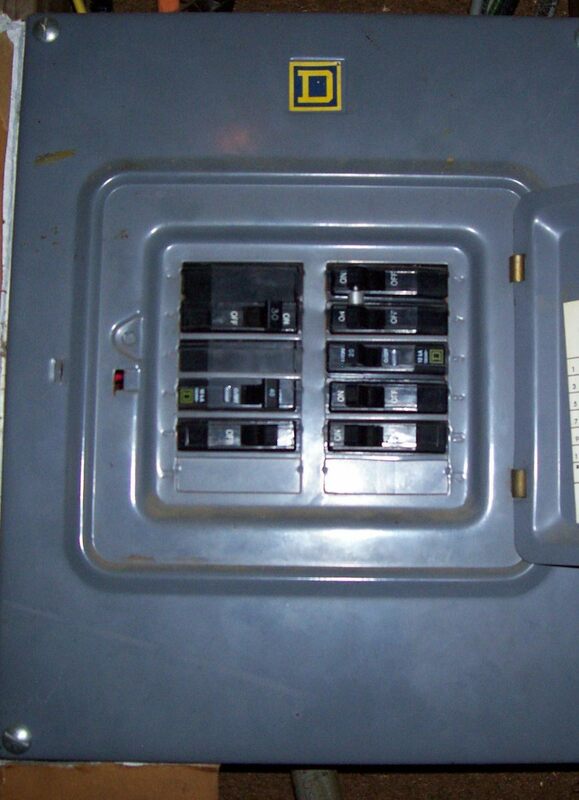 A typical breaker panel, where you may also be able to turn off the power to your furnace. The sensor is rather easily accessible and typically mounted by one 1/4" hex head screw. Upon removing this screw, the sensor will slide out to where you can more easily clean it. Carefully remove the sensor. Sometimes, not usually, you may have to detach the wire from the end of the sensor to give yourself more room to work. This furnace has four burner ports. Between the first and second burner ports (from left to right) you can see the wire leading to the flame sensor. 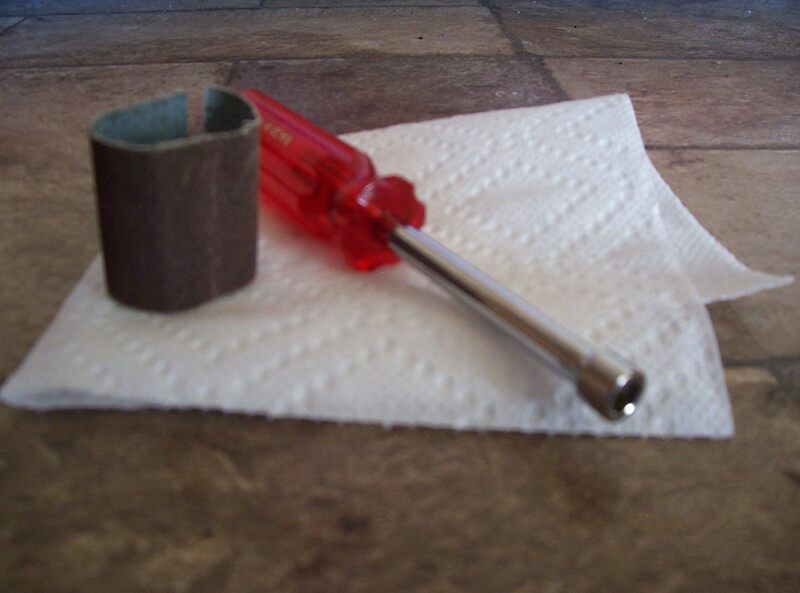 Once you have removed the sensor, gently rub the metal rod (and nothing else) with a very light grit sandpaper. Remember, you're not sanding down an auto body here, just ridding the sensor of any buildup. Then, use a clean paper towel to wipe clean any dust left behind by the sanding. Once you've cleaned the sensor, simply reconnect its wire (if you've taken it off), remount the sensor on the burner assembly using the 1/4" screw, replace the door(s) on the unit, and turn the power back on. If the unit takes a few extra seconds to start up, or the fan immediately kicks on and runs for a bit, this is normal. Shutting down the power to the unit can cause it to reset and run through a short series of checks before trying to fire again. Once this check is complete, the unit should again begin to operate normally, turning itself off and on by command of the thermostat. Make sure the unit can start up and stay on at least one more time before being confident your problem is solved. If cleaning your flame sensor did not work, it's possible that the sensor is broken, not dirty. You may need to replace it. To do that, you can follow these same instructions, except that no sanding is involved; just remove the old sensor and replace it with a new, functioning sensor. Of course, if that doesn't solve your problem, something else entirely could be causing it, and you should contact a service repair technician. It's not likely that your local hardware store will have the right part, but a contractor supply facility nearby may be able to help. There are also many web sites that offer flame sensor replacements. 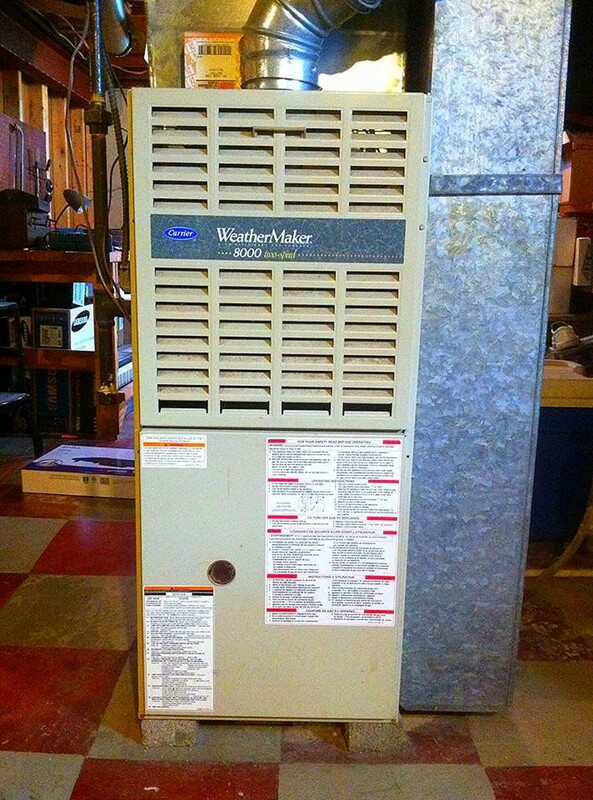 You will need the make and model of your furnace in order to find an acceptable match. If you're at your wit's end and you feel it's time to replace your furnace with a new model, it's important to know what to expect. If you are replacing a particularly old furnace you just might be able to save significant money on your heating costs every month—enough to eventually pay for the furnace. I wrote the article Comparing the Cost of A New Furnace to How Much You'll Save to help those out who are looking to replace their furnace and want to know exactly what to expect. It has step by step instructions to help you figure out how much money you spend on heating, how much is wasted, and how much a new furnace can save on your gas bill. My furnace blinks once, lights and then quits. I cleaned the sensor, but keep getting the same results. Should I move on to the limit switch, pressure switch and circuit board? Well, the sensor could be bad. It does go bad sometimes, and cleaning won’t help so perhaps it’s still the same issue. A pressure switch typically won’t let it light at all. The limit is a possibility. That would be my second suspect. Then I would check the board. But if everything else is firing in order, then I doubt that’s the problem. 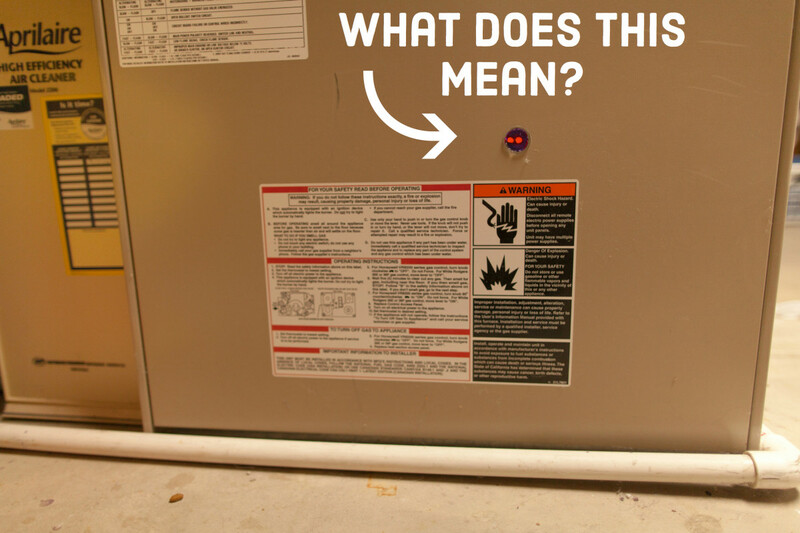 What causes the furnace exhaust fan to shut down just before the burner ignites? I tried both cleaning my furnace's flame sensor and later installing a new flame sensor. However, the furnace still shuts off after only a few seconds of the burners operating. Do you have any ideas on what the source of the problem could be? I'm really not sure based on this information as there are a lot of possibilities and some electrical testing would need to be done to narrow it down. Limit switch and pressure switch and circuit board would be my suspects. Why would a new sensor get dirty right away and cause the furnace to quit? Though it's not typical for this to happen, I would say a nearby laundry facility could produce lint which can float and burn, building dust on the sensor or perhaps "dirty" gas. Nothing else that I can think of. Does red light need to always stay on, even in summer? On most units yes. Some will flash as the unit begins its cycle to signal "normal" operation, but when dormant the light stays on to signal it's got power and is ready for a command. My flame sensor mounting screw is rusty. What can I do get rid of that rust? Outside of brushing it clean I don’t know. If it works it isn’t hurting anything. A 1/4”x1/2” long hex screw should be easy to find and replace it. The question I have is why is it rusty? You may want to keep an eye for water being where it shouldn’t. The sensor is broke on my old sears gas heater. The serial and model number has worn off. Is there any way to fix the old sensor? I’m sorry but no. A broken sensor cannot be fixed. Your best bet would be to take in the broken sensor and see if a distributor can match it up. Does a flame sensor glow while the furnace runs? No. Only the igniter glows. I have an Armstrong 125,000 G1D93AC furnace that I paid to have serviced after waking up to 59* house.Was told they would have and install a new roll out switch the following day. After almost a week and them telling me it would be an additional off hrs charge + the part and another three days.I told them to bury their head in the sand. I'm still having a situation that after installing a new thermostat reading up on this unit I can now get it reheating by resetting the roll out switch because I see it coding usually 4 but sometimes a 3. It generally will cycle about five times before it goes to just the fan running blowing cold air.Can't locate a roll out that is 1 3/4 in. even though it says a 98M86 is for mine it shows on the grid scale that it about 1/3 longer.Any chance that it's the high limit switch causing this problem? I just cleaned the flame sensor per your instructions and it worked! I called every hvac guy in town tonight and no one was available. We have my elderly mom and it’s supposed to be very cold tonight. So thank you so much! Do you sell ignitors ans sensors for coleman furnices? Funace kicks ln and runs for minute then stops. Fan clntinues to run but burner wont kick back on. Any suggestions? S - No. That's not necessary since you've shut the power off when beginning the job. It isn’t necessary to shut off the gas to do this, correct?? If you have an old furnace then perhaps you have a thermocouple instead which is typically located right next to the pilot flame. Otherwise, it will definitely be there are a newer furnace on the opposite side of the burners as the igniter so that it can confirm that all the burners are lit. Easton - That sounds like a really good idea. Thanks for commenting and good luck in your move. I thought it was really interesting when you said that when a flame sensor stops working, it is usually because of dirty carbon build up. I am thinking about moving in with my brother, but he told me that his furnace often quits working and his house gets really cold. If I do move in with him, I will make sure we get the furnace working without any blips so I don't freeze. The flame sensor senses temperature. A rise in temperature confirms that the gas has been lit and the unit can continue to run. Does the flame just conduct, or does it carry charge to the probe ? No. Nothing charred is normal. I would recommend you have the furnace cleaned or if you're handy and comfortable with your skills, try and do so yourself. I've written an article on how to do this. It's not a professional duct cleaning but in your case, you could start with the furnace and perhaps determine from there if you want to go further or need a professional duct cleaning service. Thanks for reading. My furnace runs well, but I see occasional small charred particles around the vents closest to heating unit! I have had two service calls and neither found a problem. What I would like to know, is this normal? Thank you! Jean, You're very welcome and I hope it comes in useful to you....or not. I suppose not is better. Haha. Sounds like it's a good possibility. Not sure why night and day are making a difference but yes. If the flames light and go right back out then the flame sensor is a prime suspect. I have a armana 80 and it works during the day most times but at night it ignites then the flames turn off and the fan just keeps running and cold air blows out. Is it possible it's the flame sensor? Jake Andrew - I can't say for sure as I don't really have any experience with fuel oil systems other than selling them to those that do. I never serviced them. Sorry. No. You cannot cut those. It should be the same if you bought from the distributor of your brand and they ran it by the model or serial number. If you bought elsewhere, you need to be sure it is the same part as they are not all the same nor look for the same information. 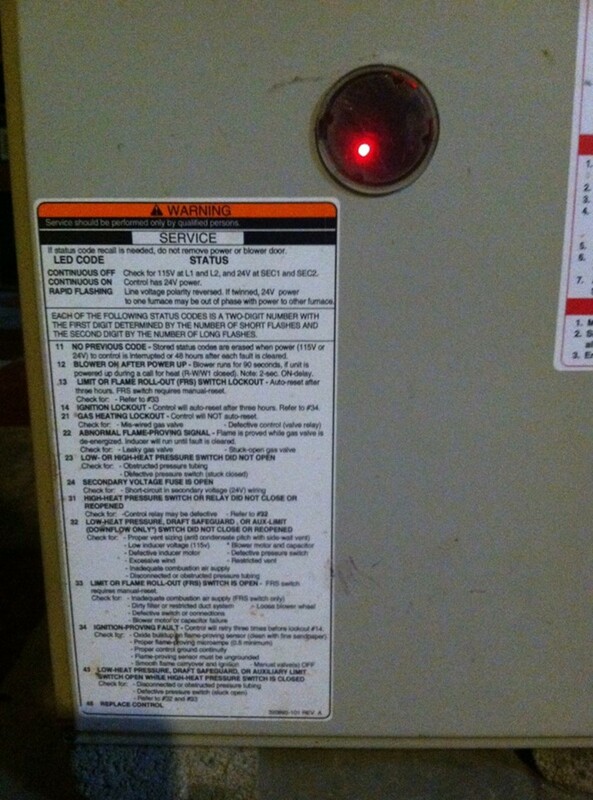 Our furnace has been turning in and off as described in the article. We bought a new flame sensor to replace the old one but the metal rod seems linger than the old one and the furnace isnt seeing it. Can we cut the rod to the size of the old one? Is that a typical issue? Tamara - Thank you for the feedback! Glad to see I've helped some folks stay warm this winter. Pay it forward! Glad to hear. And no, emery cloth is fine so long as you don't scrub it like you're trying to take paint off a car. Your advise was perfect. 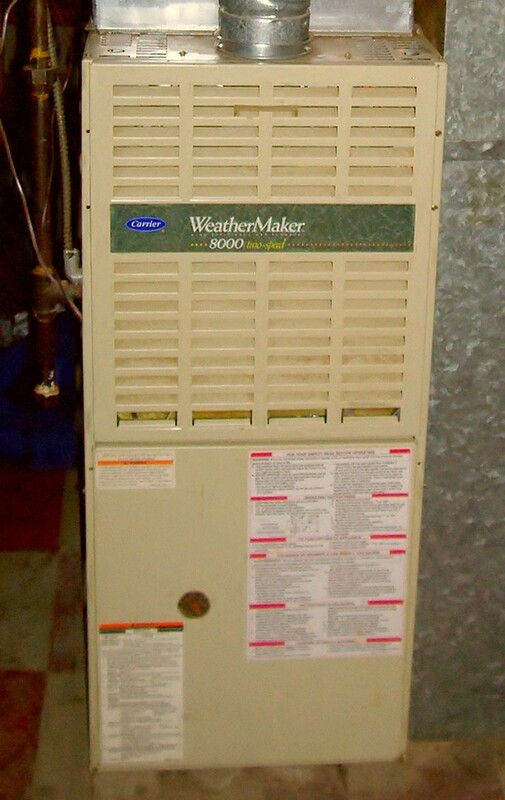 I have a Carrier WeatherMaker 8000 and my unit was clicking on and off. It had a trouble code 34, so I removed and cleaned the heat sensor and my unit is working correctly now. Thank you very much. I sanded my heat sensor and my goodman furnace with no blinking lights is running like a champ.thanks from the Howell family in ohio.its -1 degrees here. Excellent advice sensor cleaned furnace is working great. I just wasn't sure if emery cloth was to course, ran out of steel wool. I'm sorry you got to my article a bit too late. I'm glad you have heat but they didn't do you any favors at that price. Even a higher priced company in my area wouldn't have charged that much. Maybe an $80 service call plus another $50 for repair unless after hours or holiday call. Then I can see it maybe. Even then...$265 wouldn't have me calling that place for future repair. Tom - I'm not familiar with that specific unit but they are typically easy to remove unless part of a spark ignitor in some cases...that can be different and more difficult. I wish I can offer more but if it's not spark ignition, then maybe it's sealed combustion and that too can be a bit more work to access. All I can say really is don't do anything you're not comfortable with in removing the sensor. I am trying to clean the flame sensor on my Lennox 80MGF. On all the instructional vids I watched the sensor was easy to remove by removing one bolt. This model doesn’t seem to be set up that way and I cant figure out how to remove without taking apart everything. Joe, If the flame never comes no then it's not a flame sensor but there isn't enough here to tell what it is beyond that. 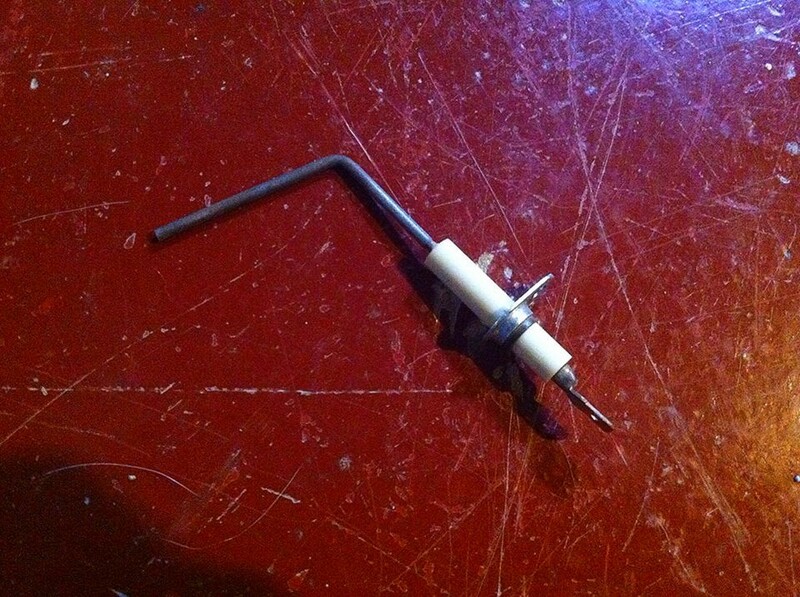 Maybe a pressure switch or inducer??? If it's cycling in the right order up to that point then I wouldn't suspect the board....wish I could offer more. Very useful info here. I'd add that if you are a cat owner to expect this common problem more frequently as the cat from the liter box can cause dust build up if the litter box shares the same space as the furnace. Hot damn! Woke up to a cold house, tried resetting the furnace from thermostat to breaker then back and it began doing exactly what was described above, start for 10 seconds, stop and blow out the heat, start again, stop again, about 5 times before giving up. Located and cleaned the sensor as described; it was visibly grey and gritty. Our townhouse was back up to temperature within 10 minutes of me finishing and flipping everything back on. Thank you Dan! Carol - No the flame sensor makes no noise. Will the flame sensor cause it to make a loud buzzing sound? We thought it was the breakers in which we changed. Wall propane gas heater flame is flickering like there is wind blowing. Is it moisture in line. How do I get it out. Richard K - A Google search will reveal alternatives that may help. I do see this on EBay but am not sure how you feel about used parts. Here are a few replacements I've found...Lennox part # 64K60. Champion part # F121507 and Auburn E5-I-10-25. Old Lennox Pulse furnace with Auto burn flame sensor 1-10-31. Threads sheared off when removing. Can't find replacement part. Suggestions? Tho many people use sandpaper to clean a sensor it is not good practice. Most manufacturers recommend using a crisp newer dollar bill. His dim - Sounds like you either blew a fuse on the board, blew the transformer, or maybe have a short in the board itself. I can't say for sure but that's what I'd be starting with. Power on. What can be the problem. Charise - I'm glad it seems to have helped. Thank you for reading and commenting! Fantastic! Woke up to cold house. Found this article. I'm a single mom so decided to give it a try before calling for help because daughters wanted immediate heat. I freaked out when I looked and furnace has only 3 burners and a lot of gadgets and wires. But low and behold I saw a part sticking up looking like the part you showed yet no screws so I reached in with a long finger nail file and began gently scraping. Viola! Furnace was working when I left for work. Thank you! Becky and Steve - Thank you kindly for the feedback and I am glad I could help. ~ Saving the world one cold person at a time! You are a god send! I am a single mom in North Dakota who just bought my home the end of October. Woke up at 2:30 am to a cold house. Went downstairs and checked the furnace, reset it, got the error codes, started my research online and found you! And thank goodness I did. It is currently 3 degrees out with a -22 wind chill and we are in the middle of a blizzard warning. Such a simple repair and now my furnace is running and the house is warming up nicely. Thank you, Thank you, Thank you!!! LOL! You're very welcome and I won't ask about the nail block if you don't. My furnace stopped working this morning (it's 28 degrees out) and I was really worried that I'd need to call my HVAC guy to come fix it. I decided to try looking up my code situation and remedies for it. You got it in one! I'm feeling ridiculously manly after defeating the flame-breathing beastie in my utility room with naught but a bit driver, a nail buffing block (please don't ask) and a paper towel. Great info! Thanks to you Sir. I've "pinned" your article to my survival board since you saved my bacon and my cash! Chris - Glad I could help. Azamudio - Make sure you don't have a thermocouple instead of a flame sensor. The 2 are similar but in function but not the same. I just followed your advice on flame sensor and only took about 15 minutes to complete. Furnace is now operating with no issues. Thanks for the advice. I will definitely share this article with all my friends. We called a company out to look at our furnace and get it turned on. We just brought our Trailer which is pretty old and the previous owners said they didn't use it last winter. Needless to say, a home visit and nothing was done. They said our flame sensor might be bad. They lit the pilot and the heater turned off and after a few minutes the pilot shut off and it wouldn't lite again. We are going to try this tonight to see if it works. We had a professional come in our home to help and we still have no idea what exactly the problem is. I guess this is a start. Thank you for the video! Alex and Kristin - Thank you for sharing your experience and feedback! It makes me feel good to have been a help to others. Sorry for my delayed response and a Happy Thanksgiving to you and yours! A Big! Thanks and God Bless you and your family. You covered the whole process with professional and sincere welling to help others! Thank you so much for this post!! It's awesome! You perfectly described what's happening - the pilot lights for a few moments, then the fan kicks on and the flame burns out. I am no handy lady by trade but I do like to try things myself to save money. I wrote some contactors describing my issue but none of them called me back for an appointment and I'm so glad! I removed the sensor and it didn't look very dirty, but I rubbed it lightly with sandpaper and wiped it down. Unfortunately, cleaning didn't solve my problem, but your post gave me the confidence and direction needed to order a replacement sensor and replace it myself. My dad and boyfriend will be so proud!!! Just had this problem fixed in my furnace yesterday. Wish I had read this 2 weeks ago. Would have saved me $150 literally. This looks very thorough and easy to follow. Jody, Sorry for delay but you definitely need a service tech out there. If you've had problems since you got it, it sounds like the regulator isn't set properly and you again, DEFINITELY need a tech to look at your situation before it gets worse. There are sensors that should be monitoring where the flame is as well and it doesn't even sound like those are working. There is definitely something not right there and sounds dangerous. If it runs for 30 minutes, no. It's not a flame sensor and that is too long for a unit to run in a single cycle for sure. Sounds more like a high limit switch. The unit runs too long and trips the temperature limit so the fan runs to dissipate heat. The stat won't respond because the circuit board has overridden it as a safety default. That said, you have a different problem and I would start with the stat in my investigation. Sounds like it's may not be functioning properly. Thanks for the info. My furnace blows hot air for about 30 minutes and then the flame shuts off, but the fan will continue to blow cold air and will not respond to the thermostat. I have to shut it off at the breaker or unplug it. While it is blowing hot, it will respond to the thermostay, but after the flame shuts off, the thermostat doesn't control anything. Could this be a flame sensor problem? yik - Unfortunately, no. I'm not sure what to offer other than trying to clean the sensor or change the thermocouple if it's a standing pilot. These are easy and cheap. If it fixes it, great and if not, you're no worse for the wear really and then pursuing a more expensive repair will be with less guesswork. It is very hard to diagnose intermittent issues when the unit is working while you're inspecting it. My boiler (Goodman) works fine for a few hours, cycling on and off, and then it doesn't start anymore. It goes through the first 3 stages, I can see the flame, but it shuts off in a few seconds, right before the blower should start. It starts working again in 2-3 hours. And it goes like this for a couple of weeks. When HVAC guy came - it worked, so he didn't know what to do. He says it is probably the control board... It seems to me like the flame sensor is bad, but why would it work for some time - and then doesn't? Any idea? Kim - So nice to read comments like this. Thanks for the feedback and allowing me to feel useful today. Great hub! So many heating and air conditioning problems seem to come out of lack of upkeep than anything else. I learned the hard way to make sure I stayed on top of air conditioner and furnace cleaning. I've had each of them shut off and later discovered that it was a simple maintenance issue. @MohZ - You are welcome! I'm so glad to get feedback like this since it is my goal to help people in situations like yours. Glad I could be of assistance and thank you so much for the feedback! Thank you, thank you thank you! Your description of the symptoms was spot on. Saved me who know how much $$$, and more importantly, it's -1 with a low of -18 tonight, and I doubt I could get a guy out here right now. Tf81- if it needs cleaned that often, something is up. What that is??? Replacing it shouldn't be to costly and is what I would do first at this point but the continuous build up is caused by something burning up on it. Perhaps lint if a dryer is near by or something like that. I've seen where underground leaks can allow moisture into the line and cause problems like this too. Let's hope not. Could just be that the integrity of the part is shot though in which case you're on the right track. Let me know how it turns out. Thanks for reading. I just missed the edit window. Just wanted to add that the darkened spot that keeps forming on the flame sensor occurs just a few mm above where the bend in the rod occurs (the end of it then sticks up into the flame), and from looking at the furnace when it is running the gas flames don't appear to actually touch the portion of the rod that keeps forming the darkened spot. So this seems very strange to me. My flame sensor needs to be cleaned every 24-36 hours or less in order for the furnace to work properly, as a black stripe of material keeps forming on the exact same spot over and over again. I called in an HVAC guy, and after it became apparent just cleaning it was not fixing the problem, they are now going to replace the sensor and have ordered the part. Will this even solve the problem though? Could it be something is built up on the burner and causing it to darken in the exact same spot? I mentioned this to the repair guy, but he pretty much just ignored me like I have no clue what I am talking about, and insists replacing it should fix the issue. When a flame sensor is malfunctioning, does it blackening in one area point to it needing to be replaced? Thanks. Dawn - There's likely not too much you can do but clean it. If you're cleaning it and it's working...quit paying people to come and replace it. It's more likely the dusty, perhaps "linty" room if there's a laundry there and often, it's the gas itself that's leaving the residue. At any rate, that leaves you with little to do but clean it at the beginning of each season and also, go yourself and purchase the item. It's so simple to replace and you can likely find them at your local hvac supply house rather cheaply. Often, this can be found in a universal type part if you can't find the exact manufacturer's replacement. I have to clean mine ever three to four months. I was directed to use steel wool by the company. My water heater is in the basement mechanical room. How can I make it so nothing can gum up that sensor? Your welcome. That's my intent. Save the world one heat call at a time. Thank you very much, just saved me a service call and a cold family. Thanks for the above tips. Voted up and useful. Thanks for the tips! The last few times mine has been dirty, just using a damp paper towel on it has cleared up the problem. It doesn't even look like I'm getting anything off of the sensor, but sure enough, when I put it back in, it start operating normally. Thank u for the feed back. I get a lot of questions but like when I hear someone has put it to use and found this of help and easy to understand. this was great info. I don't consider myself mechanically inclined but I was able to do this. If I can do it - anyone can. Thanks for sharing this. It really helped. I keep thinking we should probably get a new furnace, I'm just not sure what the best place to get one is. We were thinking about getting one here: http://www.knightplumbing.ca/index.php/2011-08-02-... what would you suggest? BT - I'm glad you say this because I've heard this however what's funny is that I've cleaned mine every year with a light abrasive for the last 9 years as part of maintenance and never had a problem. I've performed this service for others on yearly service contracts and again....no problem. So from my first hand experience, I see no problem. I also clarify were not sanding out a car body. In the trade, I've seen steel wool, dollar bills, toothbrushes, and more used for this task....I suppose I like my method. So for those reading, I'll leave it up to you to determine what you prefer but I've not misled you here. you're wrong, by using any abrasive on the rod you will remove the glossy finish leaving grooves in the rod only to attract more debris in the future. wipe it clean or replace it. Thanks - described my symptoms perfectly and fixed it easily! HVAC can offer a lot of possibilities. Watch it fire up next time. Make sure there's no abnormal flaming (roll out). Check your filter and for weak ductwork that's "oil-canning". I'd hate to diagnose beyond that. Thanks for reading and glad I could help. Great hub! I had constant problems with my furnace's flame dying out to the point I knew the gas man's first name and as your awesome hubs states it was dirty. I have a question: Lately my furnace makes a thud sound whenever it is about to turn on and right after it turns off, like a baseball bat hitting the side what is that? nice job on this information...very thorough...i am a home remodeler by trade and agree that this is good advice and information.